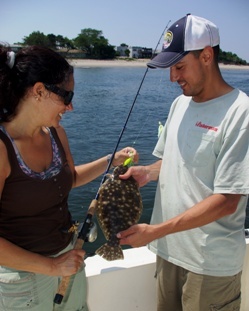 In March of 2012, the New York Department of Environmental Conservation’s (DEC) Marine Resource Advisory Council (MRAC) will reconvene to review the fluke options for the 2012 fishing season. It is hoped that the final approval from the Atlantic States Marine Fisheries Commission (ASMFC) will support New York’s request for a 19-1/2-inch size limit, with a three or four fish bag limit and open season of May 1 to September 30. Such action would be good news for recreational anglers and the supporting businesses, given that size limits during the past few seasons have eclipsed the 20-inch mark, more in line with a sizable keeper halibut than our local fluke. In deliberating on possible regulations at the January meeting of the MRAC, a reduction in size to 19 inches was on the table for consideration. However, MRAC members, under the advice from science and statistical staff at DEC, decided unanimously against dropping the size limit to 19 inches for fear of going over the allowable 2012 harvest. Following the reauthorization of the federal fisheries law (Magnuson-Stevens Act) in 2006 and subsequent vote by members of the Mid Atlantic Fishery Management Council (MAFMC) in 2010, anytime fishermen go over their annual catch limit in a given season, that sector is required to pay back that specific overage in the following season. For example, in 2003 the “fatally flawed” Marine Recreational Fishing Statistical Survey (MRFSS) determined that New York anglers over-harvested their allowable limit of fluke by more than 100%, resulting in severe limitations on season, size and bag limit for each of the following seasons. Due to requirements then that states take a more precautionary approach in seasons following such findings of overharvest, MAFMC’s then deputy director Chris Moore recommended that New York take a 48.3% reduction the following season with a 2004 landings target of 783,000 fish, down from 1.5 million fish allowed in 2003. By comparison, New York anglers were able to land over 1.2 million fish in 1998, while in 2012 we’re being granted just 492,000 fish. That’s a staggering disconnect when you consider that New York had the same state-specific percentage of allocation in 2003 that we have today, yet we’re now fishing on a far healthier stock of fish both biologically and in statutory terms. 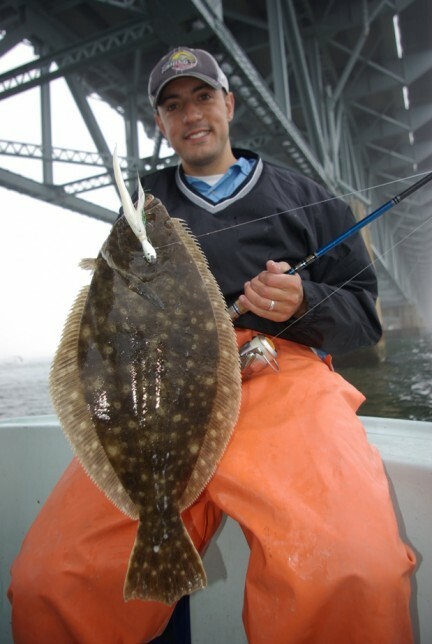 In fact, the Northeast Fisheries Science Center actually has found that the fluke stock has officially been deemed a rebuilt stock of fish as of 2010, meaning we had more fish available to us as anglers in New York 10 years ago when the fishery was still rebuilding. It should be noted that the total spawning stock biomass of fluke in the ocean back in 1998 was tabbed by scientists at 26,350 metric tons of fish, whereas today that number has nearly tripled to a 2012 biomass of 78,567 metric tons. While the size of the available fluke stock has nearly tripled, New York’s total allowable landings are less than half of what we were allowed back in 1998. While these precautionary approaches to fluke management have been bad enough over the past 10 years, new ‘accountability measures’ written into the Magnuson-Stevens Act which take effect this season will require a very specific overage payback anytime the MRFSS data indicates that anglers have gone over. That means if we were to overharvest our 2012 quota by 100% as we did in 2003, we’ll then be responsible for paying back 100% of that overage in terms of total numbers of fish for 2013. NMFS is killing New York with “fatally flawed” harvest data which was supposed to have been replaced, by law, back in 2009. Considering that looming future punishment, MRAC members looked at the possibility of lowering the size limit to 19 inches for 2012 but thought of what could possibly happen if MRFSS data shows that anglers had a banner year with the new size limit. Their responsible approach to selecting the 19-1/2-inch size limit was in recognizing that the risk of going over and losing the 2013 season was simply not worth the extra half inch of fish. Similar to missing a credit card payment, those of us who fish for fluke in New York have been sidled with exorbitant interest rates for the past eight years, unable to pay down the actual principle resulting from that 2003 statistical nightmare. Just as we are about to get back on our feet – and about the time when fluke is considered to be statutorily rebuilt and as healthy as the stock has ever been – the federal fisheries law is set to take another bite out of our budget with a new set of arbitrary measures and draconian restrictions designed to add yet another layer of precautionary management upon our recreational fishing community. Exactly, it’s still just 50 pounds of excrement. Regrettably, the Congressional mandate to utilize an angler registry and enhance the validity of dockside intercepts has not been met, which NMFS has stated (in Congressional testimony) will not officially be completed until sometime in 2013. That means regional and state fishing advisor and councilors are still being forced to manage season-by-season regulations using “fatally flawed” data. Hence, instead of seeing a more reasonable size limit of 19 inches, the MRAC was forced to act with even more precaution in order to hedge their bet for 2013 in the face of continued restrictive measures coming out of the reauthorized Magnuson-Stevens Act calling for hard annual catch limits managed by soft and unreliable survey data from within the recreational sector. It’s easy to point fingers at organizations and individuals for being to blame for the mess we’re in with regard to responsible access to our coastal fisheries. In the end, the real problem lies with Congress which passed the Magnuson-Stevens reauthorization by unanimous consent in the Senate back in 2006, meaning all input and debate by fishermen was left outside on the steps to Capitol Hill. That’s why New York Sportfishing Federation supports HR3061, the Flexibility and Access in Rebuilding American Fisheries Act of 2011. Co-sponsored by New York members of the House of Representatives including Congressman Peter King, Congressman Bob Turner and Congressman Michael Grimm, the bill would make critical improvements to the way America’s fisheries are managed, including a requirement that the National Research Council perform another comprehensive report on improvements made to the recreational fishing data collection since the last reauthorization.